The state of your chimney determines the health and safety of your home because chimneys vent the harmful air outside. If your chimney needs to be cleaned or repaired, you need to take steps to fix it. This is not the place for do-it-yourself projects. You should always hire a professional company like ours to do it for you to comply with your local building codes, your home owner’s insurance policy and more importantly, avoiding any kind of unwanted injuries to you or your loved ones. In any case, you need to be confident your home is safe for your loved ones, so you need to be able to choose the right chimney repair company that better suits your need. This can look like a daunting task but worry not. This article will help show you how to choose the right chimney repair company in the Howard County and Washington DC Metropolitan areas. To choose the right chimney repair company, you need to do some homework. Educate yourself about chimneys before your appointment. Having a basic understanding of chimney technology. This allows you to tell if the chimney expert is telling you the truth or just trying to sell you something. 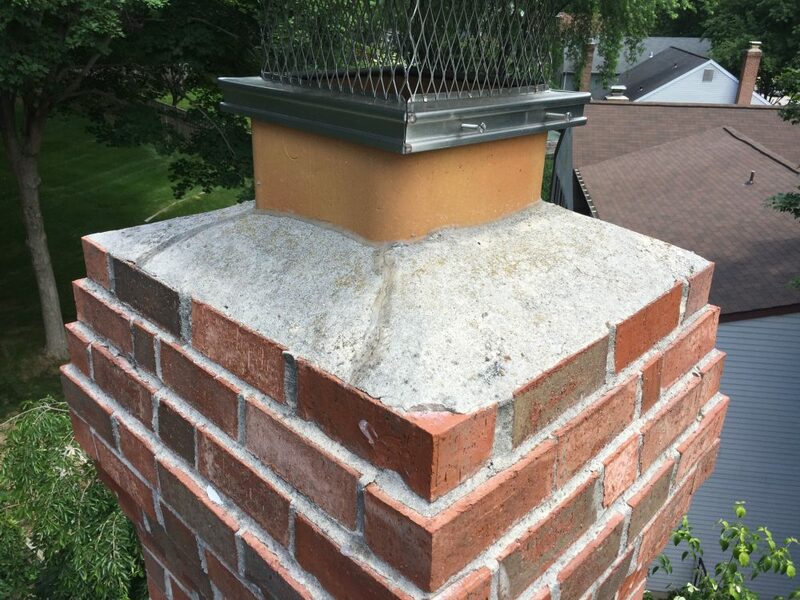 The more you understand the way your chimney works, the easier it is to see what needs to be done to keep it working. Look for local companies that have about us pages like ours that give you a clear understanding of the what the company is all about. See what they offer and how they present their services. Do they provide information that helps you understand what they do, like blog posts or articles? Do they have the expertise you need? Look at independent reviews of the company online. Ask your neighbors who they use and why they would use that company again. Contact the company and ask questions. What makes them different from other companies? How familiar are they with your local codes? Do they offer a free consultation and estimate? The best companies have high safety and quality standards. They also should be members of the leading chimney organization like the CSIA. This should be on their website along with any other certifications and associations. Are the technicians regularly updating their training to keep up with industry changes? Do their technicians have certifications for fireplace repair in your jurisdiction? For example, let’s say that you live in Howard County, MD and you choose a company that also service Washington DC. Do they have technicians that are licensed in both states? Don’t make your decision for or against based on one negative review. Read all of the reviews and look for trends. If you see several reviews complaining about the same thing, then maybe that is their weakness. The same applies to strengths. Choose a company that recommends long term repairs over cheap temporary fixes. If you really should have a new chimney cap or liner, slapping some sealant on a crack is not going to fix the problem. A good chimney service will identify what needs to be done and tell you what it should cost. If you can’t afford the best option, they should be able to tell you the best options for your budget. A chimney repair service should offer personalized service. This means that the team that comes to your home is backed up by management that supports their decisions in the field. You can trust what they say they will do because they are accountable to their home office. You should be able to contact that office with questions. Look for companies that spend more time discussing the quality of their service than how their low prices. Companies that focus on offering the lowest prices tend to sacrifice quality. A good chimney repair company will offer more than repairs. They should offer preventive maintenance as well as repairs. Since most chimney problems show up during the recommended yearly cleaning, it makes sense to look for a full-range chimney service company that can be trusted to partner with you in keeping your home maintained properly. That trusted partnership is the reason that choosing the right chimney services company is so important.